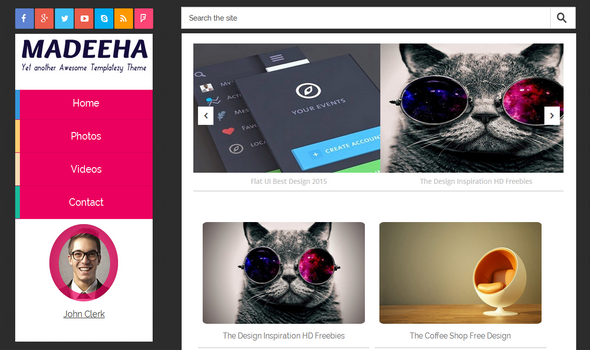 Madeeha Blogger Template is a modern clean fully responsive & UI based flat blogger Template. Madeeha is a professional and elegant template that came up with lot of dynamic functions like, Sticky side navigation, Automatic scrolling up, down posts positioning and having Modern Portfolio layout. This Template is very ideal for all blogspot users who want to run photography, technology, blogging or personal blog. In short, we can say, this template can be used for both personal or business site thats why called it the perfect magazine multipurpose blogger template. A perfect template for designers, developers and bloggers.